Here are the recommended Greenkeeping tasks for June maintenance work for the Performance Greens Program. Last month I started off talking about the unusually dry weather and here I am looking out the window at a deluge of rain. You might be experiencing something similar as the weather map shows that it is set to continue for a few days. Growth then, shouldn’t be a problem, but early summer disease outbreaks might be. 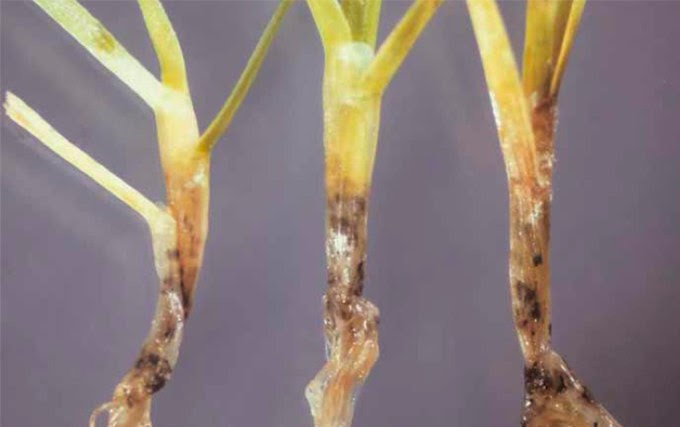 A few readers have experienced disease problems and it is certainly something to look out for when summer gets going and your green has a high percentage of annual meadow grass, although the finer grasses can be affected too. This will appear as irregular yellow or rust coloured patches of diseased turf. Symptoms on individual plants first appear as yellow or red injuries on outer leaves, then progress to new leaves and shoots. Affected areas have a red or pink colouration, progressing to straw colour in later stages. Usually restricted to the leaves and stems, but can progress to kill the plant. In wet and humid conditions you might see pink slime on leaves. These are both quite common diseases of early summer and can largely be negated by making sure Nitrogen levels are sufficient to maintain recovery from mowing, pressure from play and to sustain steady growth. If growth is still too slow for recovery purposes, make sure you are adding enough Nitrogen to make up for the losses to clippings and leaching by heavy rains. 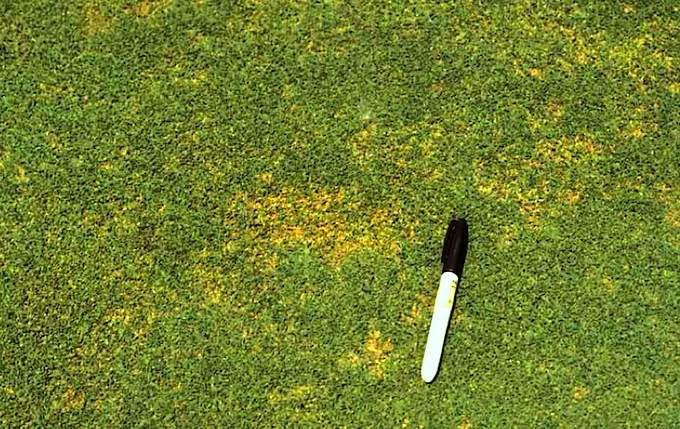 If your green is susceptible to Localised Dry Patch, then it will undoubtedly have shown its ugly face on a your green by now. Many clubs made hay while the sun shone in April and May and didn’t water the green enough during that very dry period. The revelling in high green speeds and low water bills will come back to haunt greens of a hydrophobic nature and dry patch will now be showing up clearly on the green. This is something that needs to be tackled head on now, as it can be quite devastating to green performance if allowed to run on unchecked. If this is something your green is suffering from, there’s more detailed information about its causes and cures here. Similarly, Fairy Ring problems are closely related in terms of soil conditions. More on dealing with Fairy Ring here. Creating a proper management plan for irrigation can save a lot of headaches and money, so my column in Bowls International this month is all about planning and managing Irrigation. In the article I discuss a system of irrigation management that takes your soil/turf performance and real results for rainfall and evapo-transpiration into account. In Performance Bowling Greens I’ve laid out a whole section on managing irrigation effectively. Mowing frequency should be up to summer level of 3 cuts or more per week by now. During very dry spells you should alter your mowing regime to take account of the needs of the grass plants. I laid out some ideas for that in last month’s program here. The critical advice with mowing as always is keeping the blades sharp and keeping settings free and accurate. Micro nutrients or trace elements are particularly important when grass is under stress so I recommend continued use of Super Concentrated Seaweed Liquid with its plethora of trace elements and natural plant inoculants. 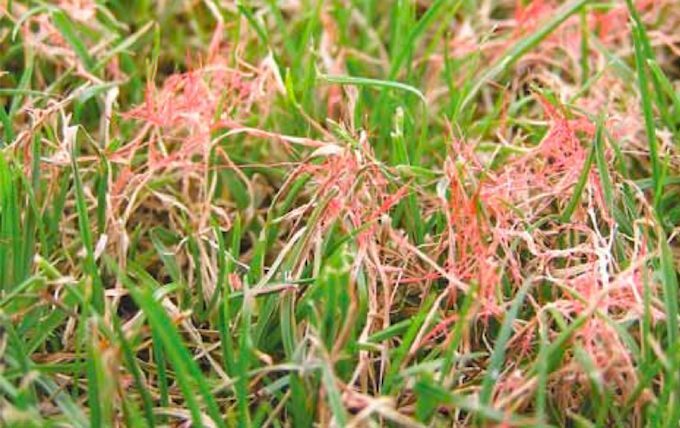 Trace elements like Copper and Zinc are known to help grass plants fend off attacks from fusarium and other fungal pathogens and its bio-stimulant properties helps to keep the microbe population growing and active. You can quite happily apply this all year round as a bio-stimulant. On recovering greens (still thatchy and in the Circle of Decline) I would normally recommend continued verti-cutting through the summer, but again very dry conditions should be the exception to this as it does have a drying out effect on the turf. It is important that there is sufficient growth to support the recovery, so hold off on this if you aren’t seeing that yet either. When conditions are suitable a light verti-cut twice a month can really help with keeping thatch build up under control. For this operation the blades should barely be touching the soil as the main purpose is to slice through stolons (encouraging vegetative reproduction) and teasing up lateral growth. Whether your green is drought stressed or not, but more especially if it is, this is the optimum time to get started on a Compost Tea program. On greens that have been managed in the conventional way for any length of time i.e. using pesticides and inorganic fertilisers, it’s likely that the soil microbe population will be significantly depleted. There might also be gaps in the eco-system, essentially “missing microbes”. Compost Tea provides a fresh population of the full range of microbes to bolster existing populations and even re-establish missing ones. Through repeated applications of your Compost Tea these new microbes will establish and replicate. The benefits of this full and abundant population of soil microbes will be manifold as their specific enzymes and toxins act in the soil encourage plant health for the very species you want to promote. Even in relatively healthy greens, where thatch is under control and a more natural greenkeeping program is already used, Compost Tea provides a wonderful probiotic boost, maintaining microbe diversity and helping to compensate for microbes lost through predation and prolonged reliance on pesticides and high salt index fertilisers. Tank mix the compost tea with Liquid Seaweed for an additional bio-stimulant boost to keep your turf healthy and thriving. 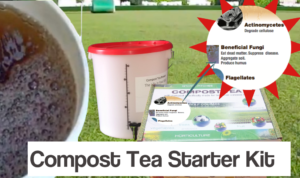 More on Compost Tea here. Plants and microbes both need carbon, nitrate, phosphate, carbohydrate and sugars; some bio-stimulants provide all or some of these elements, whilst others provide a substrate on which plant and soil microbes survive to make these elements available to enhance the growth of the plant. There are two main reasons for using bio-stimulants to improve the growth and health in bowling green turf. First of these is simply to feed the soil microbiology because the organic substrate (humus) needed by soil microbes has been designed out of the rootzone specification. Our modern love for very sandy rootzones, means that many greens have too little humus and too much thatch. Secondly, many bio-stimulants have a direct effect on the health of the plant. In perfect growing conditions, bio-stimulants will do little for plant health, but sports turf, especially bowls and golf greens and modern pitches are some of the most artificial environments created for plant growth and the grass plant benefits from the addition of the stimulants that it cannot produce in sufficient quantities itself. More on the benefits of Bio-Stimulants here. Greenkeeping tasks for June include managing nutrient supply well, as this is vital to creating a performance green surface that is consistent throughout the season. Peaks and troughs of growth are the enemy of green speed and smoothness. This is why it’s best to use Bio Liquids as the regular and light applications help to provide the required Nitrogen as it’s needed instead of encouraging flushes of growth all at once. 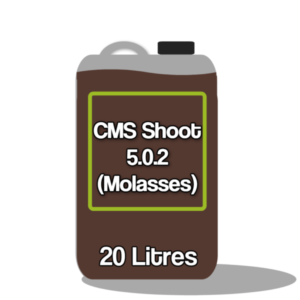 Bio Liquids also provide a boost of carbohydrate to the soil microbial population to help keep them growing and multiplying. 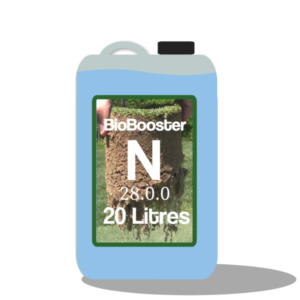 Over time, this alone can reduce the need for fertiliser applications, as when your soil is firing on all cylinders the microbial activity within it can easily produce more than half of the green’s annual Nitrogen requirement on its own. Sarrel rolling continues to be the method of choice even when the soil is dry. 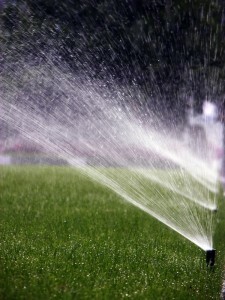 It is also a very useful operation for letting irrigation into a crusted surface. It keeps air movement going just sub-surface where the microbes roam too. You can do this as regularly as you want and it is a really useful pre-compost tea application job. With the new season under way, many clubs are coming round to the fact that they’ve been chasing symptoms for years and not tackling the underlying causes of poor green performance. 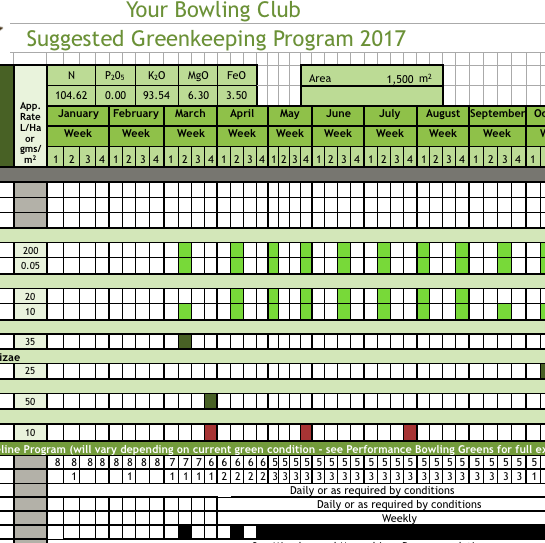 Why not make this the year you finally commit fully to achieving a Performance Bowling Green? The ebook that’s caused all the fuss is well under the price of a bag of fertiliser!…more here. Soil Analysis with done for you greenkeeping schedule. In addition to absorbing the message in Performance Bowling Greens, why not let me do a soil analysis for you. I’ll send you a kit to take the samples and also ask you some questions about the physical condition of your green, photos etc. More details of this unique service here. Of course as always, if you have any questions comments or problems, please feel free to drop me a line. All of the materials you need are available in the shop now. Have a browse and feel free to come back to me with any questions you have about applying the Performance Greens Program. 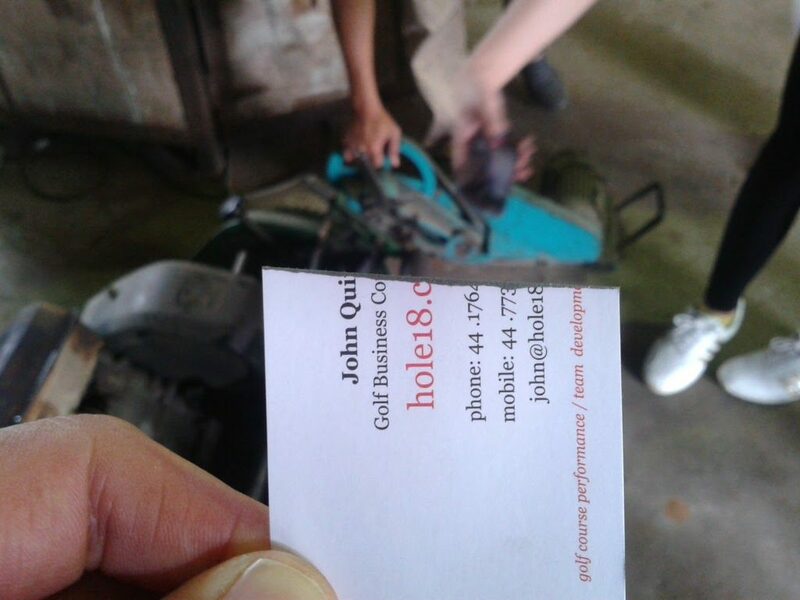 what our supplier and their rep. have suggested we use for our green maintenance programme. It is rewarding that you have pre – planned possible problems that may occur and give us part time green keepers the confidence to continue being individuals and follow a path in our green improvement .